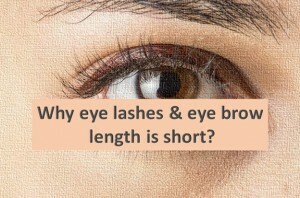 Why our eye lashes and eye brow does not grow? Human hair follicles go through 3 different growth phases. Anagen – an active growth phase. During this phas the root of the hair divides rapidly and the strand grows at the rate of about 1 cm in 25 days.